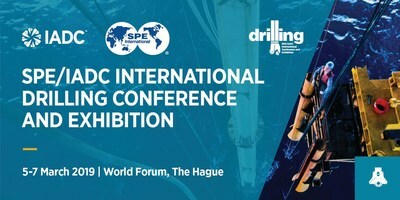 LONDON, Feb. 7, 2019 /PRNewswire/ -- The SPE/IADC International Drilling Conference and Exhibition will take place next month at the World Forum, The Hague, 5-7 March 2019, featuring a highly targeted audience of international drilling professionals. With an aim of accelerating progress in our industry by connecting forward-thinking technical presentations to open discussion forums, the technical programme enables E&P professionals to see through today's challenges and work collaboratively toward solutions that will create a stronger future for an increasingly energy-driven world. The keynote address for Day One's Opening Ceremony will be given by Paul Goodfellow, Executive Vice President, Shell. The renowned technical programme will bring together leading E&P industry experts including representatives from: BP; Saudi Aramco; Equinor; National Oilwell Varco; ExxonMobil; BOS Solutions; Baker Hughes a GE Company; ConocoPhillips; Weatherford; Scientific Drilling; Hess Corporation; Transocean; Oxy Oil & Gas; eDrilling; Bureau Veritas; Schlumberger; Halliburton, and many more. Technical Session Topics Include: Fluids and Waste Management; Threaded Connections for Tubulars; Advances in Drill Bit and Downhole Tool Technology and Applications; Innovative Technologies for Measurement, Modeling and Communication; Drilling Automation; Well Placement; Managed Pressure Drilling; Well Cementing and Zonal Isolation; Geomechanics; Offshore Drilling, and more. 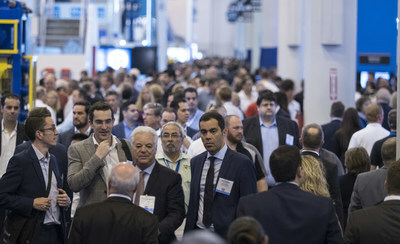 Renowned for over 35 years as the home of world class technical content, the event is developed for the drilling industry by the drilling industry and is the perfect forum to advance your scientific understanding of drilling in oil and gas exploration and production. The event is supported by a broad range of key stakeholders from the Drilling world including some of the largest oil and gas players in the industry including Saudi Aramco, Shell, Transocean, BP, Abaco Drilling Technologies, Merlin ERD, Baker Hughes GE, Weatherford, Schlumberger, KCA Deutag, Exebenus, CAN by Neodrill and Dril-Quip. *Complimentary press registration is available to members of the working press – register here. The Society of Petroleum Engineers (SPE) is a not-for-profit professional association whose members are engaged in energy resources development and production. SPE serves more than 156,000 members in 154 countries worldwide. SPE is a key resource for technical knowledge related to the oil and gas exploration and production industry and provides services through its publications, events, training courses, and online resources at www.spe.org.